This ivory winter weight soft cotton knit romper is made by Sarah Louise, a top British designer of classic baby garments. It features an asymetrical blue knit front closure. 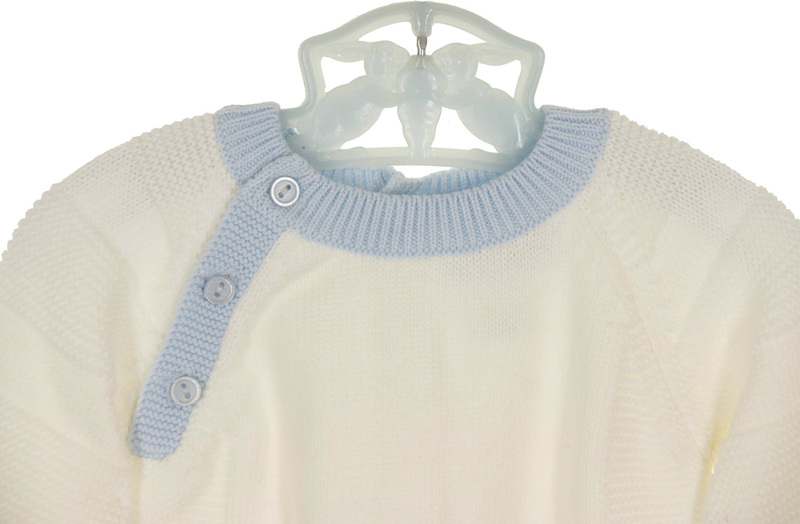 The neckline, long sleeve and leg cuffs are also trimmed with blue knit. The romper has a buttoned crotch for easy changes. 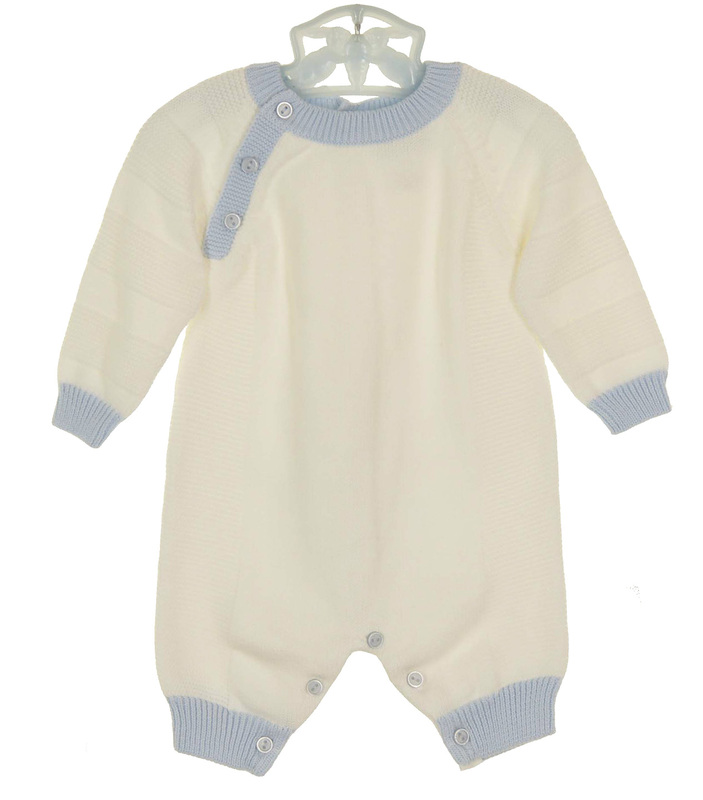 This beautiful little warm knit romper is the perfect take home outfit for your baby boy. This sweet outfit is also available in blue. See below.